On the official Mozilla Blog, Stormy Peters (Director of Developer Relations) & Joe Stevensen (Operations Security Manager) Posted details regarding Mozilla Developer Network Database Disclosure into a publicly accessible server. This is indeed a serious security fault from Mozilla because Some MDN email addresses and hashed passwords were temporarily posted into a public server. “We have just concluded an investigation into a disclosure affecting members of Mozilla Developer Network. We began investigating the incident as soon as we learned of the disclosure. The issue came to light ten days ago when one of our web developers discovered that, starting on about June 23, for a period of 30 days, a data sanitization process of the Mozilla Developer Network (MDN) site database had been failing, resulting in the accidental disclosure of MDN email addresses of about 76,000 users and encrypted passwords of about 4,000 users on a publicly accessible server. As soon as we learned of it, the database dump file was removed from the server immediately, and the process that generates the dump was disabled to prevent further disclosure. While we have not been able to detect malicious activity on that server, we cannot be sure there wasn’t any such access. We are known for our commitment to privacy and security, and we are deeply sorry for any inconvenience or concern this incident may cause you. The encrypted passwords were salted hashes and they by themselves cannot be used to authenticate with the MDN website today. 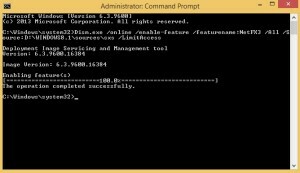 Still, it is possible that some MDN users could have reused their original MDN passwords on other non-Mozilla websites or authentication systems. We’ve sent notices to the users who were affected. For those that had both email and encrypted passwords disclosed, we recommended that they change any similar passwords they may be using. In addition to notifying users and recommending short term fixes, we’re also taking a look at the processes and principles that are in place that may be made better to reduce the likelihood of something like this happening again. If you have questions, please reach out to security@mozilla.org. This is really a major concern since these kinda security leaks were resulted for a top firm like Mozilla which focuses in security as well. This post was actually not pre-planned. It came into my mind when I stuck with downloading a ~2 GB zip data for one of the new service in my website. I failed downloading the whole file twice. I’ve used Firefox to download, First time, 1.7 GB of zip data was completed before it got failed. 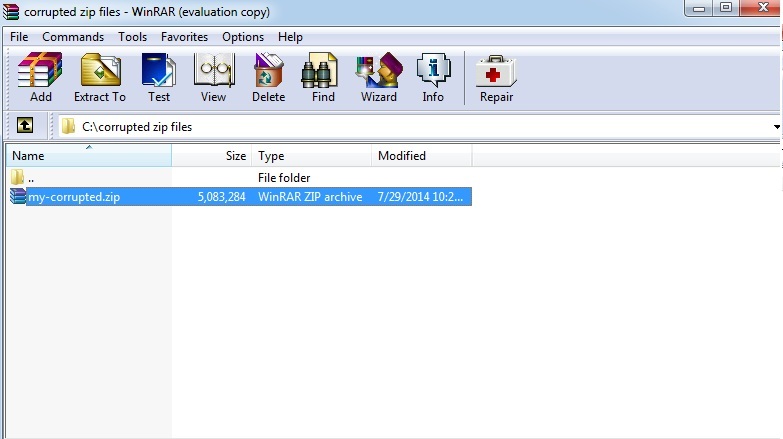 But I could see a file with .part extension in the downloaded folder. Normally if there is any part file in the folder & If we restart the downloading Firefox will resume (I don’t know much about how other browsers behave) the process. So I just tried the same but that didn’t work for me. So the only option in that time was just to download the same file again. I had to download because there was no alternative option in my mind. I just started downloading but Boom! unluckily that time also downloading got failed. In the latest progress, the partially downloaded file size was ~1.8GB. Choose options accordingly. Click Ok. 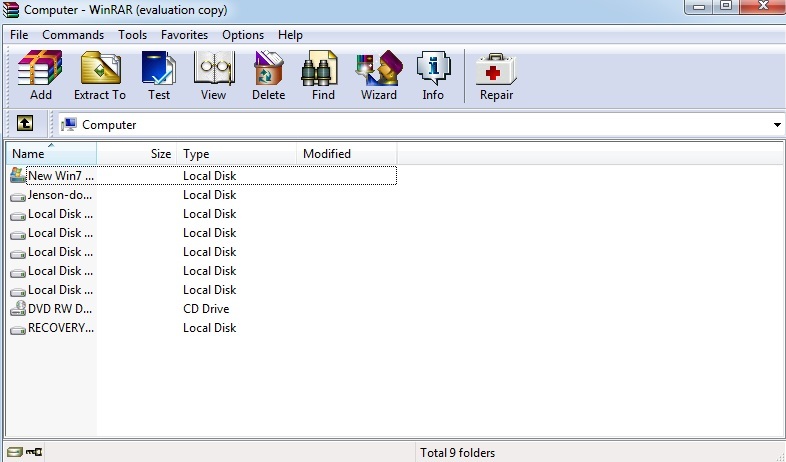 Your repaired zip will be generated on the specified folder That’s it. This was one of the post by the Facebook Engineer Jonathan Hsu (Posted Date : Wednesday, December 17, 2008 at 6:15am) about how you can get into the Facebook Team by solving Puzzles (Infact Hard!). He explains how it helps programmers to make themselves stand out; no matter what their resumes or backgrounds but the codes really speak for them! “Hiring at Facebook can be pretty intense. In addition to recruiting at top universities, we also invite candidates to send in solutions to programming puzzles on our jobs page. The puzzles provide a way for programmers to make themselves stand out; no matter what their resumes or backgrounds are, the code speaks for itself. Typically we receive nearly 1,000 submissions a month from all over the United States and abroad. The puzzles are difficult enough that only about 10% of submissions are fully correct, but the best authors are invited for job interviews. In an average year, about 5% to 10% of our new engineers are introduced to Facebook because of their puzzle submissions. Today, we are posting a new puzzle called “Peak Traffic“. It requires authors to analyze simulated activity of many people using Facebook over time, coming up with a program that identifies which groups of people within the site are actively friends. Authors can test their programs on a small-scale example we provide, but the true test is whether the program will still work on a simulation of several million people. We also maintain the Facebook Puzzle Master Page where more than 2,000 fans discuss our library of active puzzles. As Facebook’s Puzzle Master, I’m always trying to develop puzzles that can be solved in a variety of ways. I have been surprised at some of the creative and ingenious methods authors have used to solve some of our puzzles, and often learned a few things myself. Jonathan Hsu got his job at Facebook in 2007 by solving two puzzles! 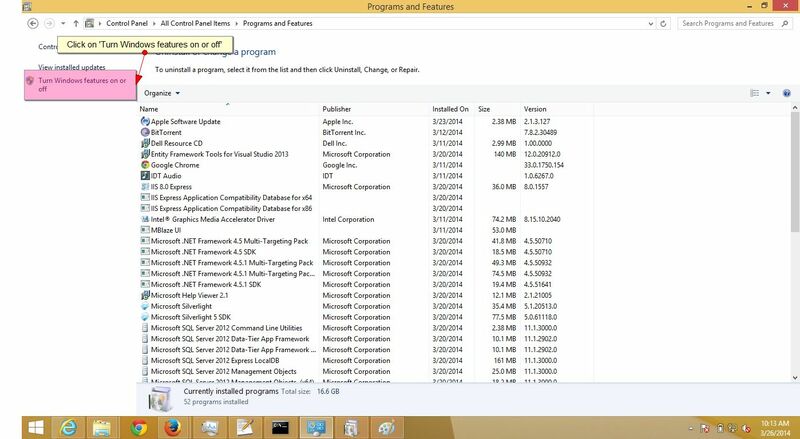 You may or may not notice Windows 8 does not include .NET 3.5 (Which include .NET 2.0 and 3.0) Framework by default. 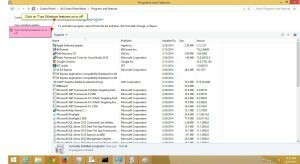 But if the user is upgrading from Windows 7 to Windows 8, .NET Framework 3.5 will be fully enabled. 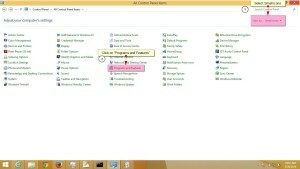 The user can make sure whether this feature is enabled by checking in Program and Features. 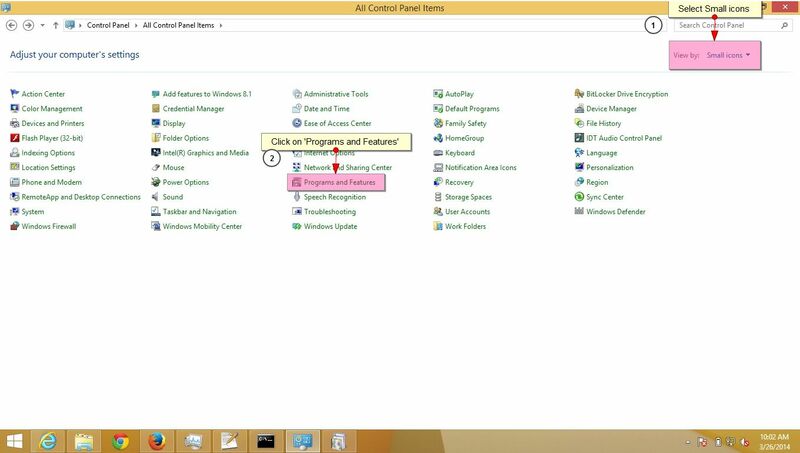 Go to Control Panel, Select ‘Small icons’ in ‘View By’ option & Click on ‘Program and Features’ link. In ‘Program and Features’ window you could see ‘Turn Windows features on or off’ link located on left top of the window, Click on that. 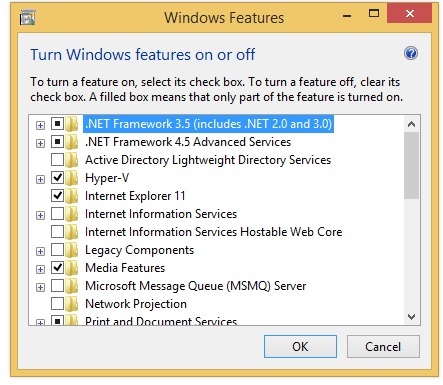 You could see .NET Framework 3.5 (includes .NET 2.0 and 3.0) option as Checked because I had already installed this feature. Since the installation is yet to happen, In your case it may not be checked/marked. 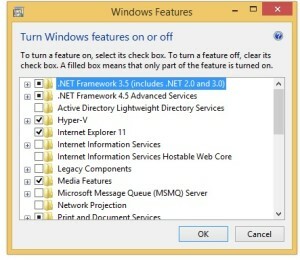 You can enable this feature by clicking on .NET Framework 3.5 (includes .NET 2.0 and 3.0) select it and click OK. After this step, it will download the entire package from internet and install the .NET Framework 3.5 feature. If you don’t not have an internet connection, this step cannot be applied. 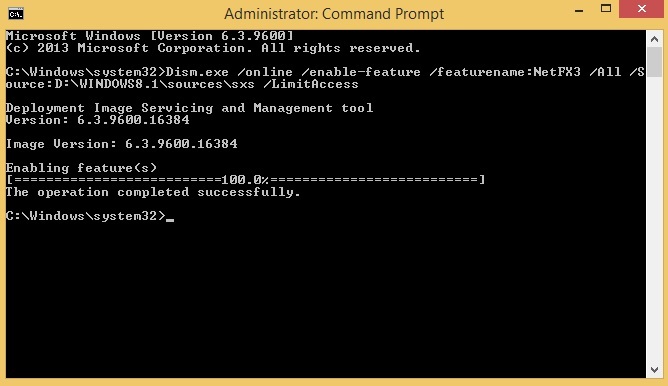 Run the command Dism.exe /online /enable-feature /featurename:NetFX3 /All /Source:D:\WINDOWS8.1\ sources\sxs /LimitAccess, and hit Enter. That’s it. It’ll start installing* .NET Framework 3.5 in your PC. *The installation time may vary depending upon the performance of your PC. WhatsApp Inc. was founded in 2009 by Americans Brian Acton and Jan Koum, Both former employees of Yahoo! 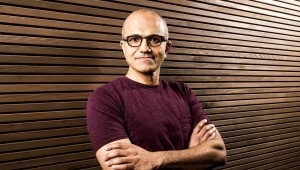 So He and Jan Koum, a Colleague from Yahoo, set out to do their own thing, WhatsApp. 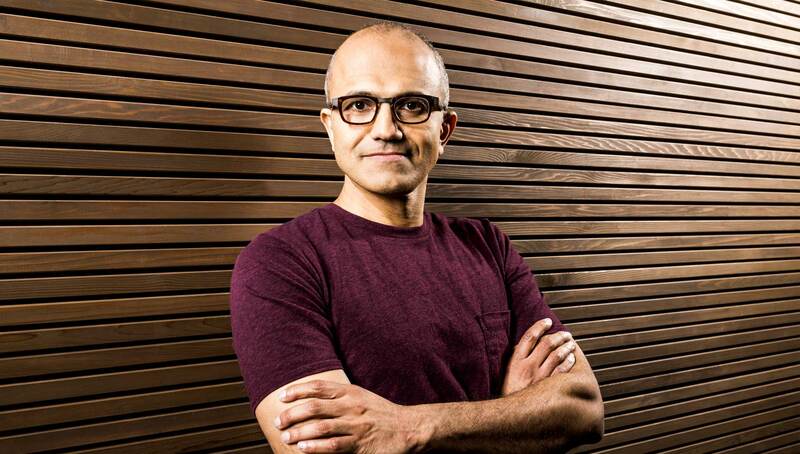 & Today, they sold that thing to Facebook for 19 Billion dollars..
Nadella, 46, will be only the third CEO of the company after founder Bill Gates and Steve Ballmer, the man he is succeeding. Code for Honor is Microsoft’s award for solution excellence. Build outstanding software solutions in one of four specially chosen categories – Large Enterprises, MSME, Government Enablement, Citizen Services – and showcase your capabilities on the national stage. Modern devices and cloud-based services have changed the way organizations and users operate. Organizations can now deliver comprehensive software solutions across devices on manageable, elastic, cloud-based IT architecture while users react, interact and purchase differently. That would generate the warning but ‘&’ is not required and can be removed.